Solo or Guided Tours in Peru? From Machu Picchu to Colca Canyon, Lake Titicaca to the White City of Arequipa, the chances are your trip to Peru will be jam-packing with sightseeing! But how long do you need in each place, and what is the best way to see all of these sights? We uncover the secrets of the country’s top tourist attractions, and help you decide whether it’s better to do solo or guided tours in Peru. Do I need a tour of Lima? Not really, but you may miss things! Most holidays to Peru begin and end in the capital city, Lima, but it’s often overlooked; used more as a pit-stop after a long haul flight than a destination in its own right. However, it’s so different from the rest of the country that it seems a shame to pass up the opportunity to explore a different side of Peru. But do you need a tour of Lima? Not really. The main sites of the colonial centre – Plaza Mayor, the cathedrals and palaces – are easily explored on foot, and the public transport network is good enough to get you to most of the city’s museums and attractions. The centre of Lima is safe too, so there’s no reason to avoid sightseeing on your own, and guidebooks and maps will help you get around. However, if you’re short on time or enjoy learning a little more about the history and cultures of a place then you’ll get a lot out of a guided tour of Lima. 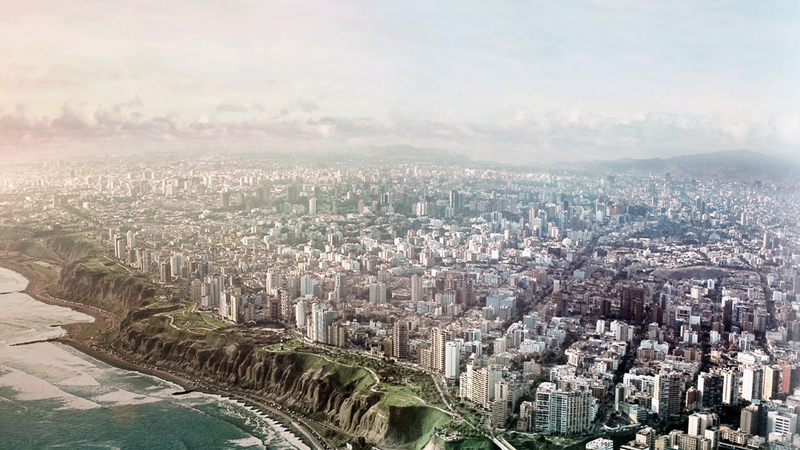 The city has changed drastically over the years, and it has a fascinating past, with cultural influences from across the globe, so there is much more to know about Lima than can be read in a guidebook. Specifically, ancient sights like the ruins of Pachacamac are best done with a guide, so you can really understand the historical significance of the place. And solo travellers may wish to join a group tour rather than spending the day exploring alone. If a standard sightseeing tour sounds boring why not consider a tour tailored to your specific interest, whether that be cooking, shopping, art, or even architecture? How many days do I need in Lima? 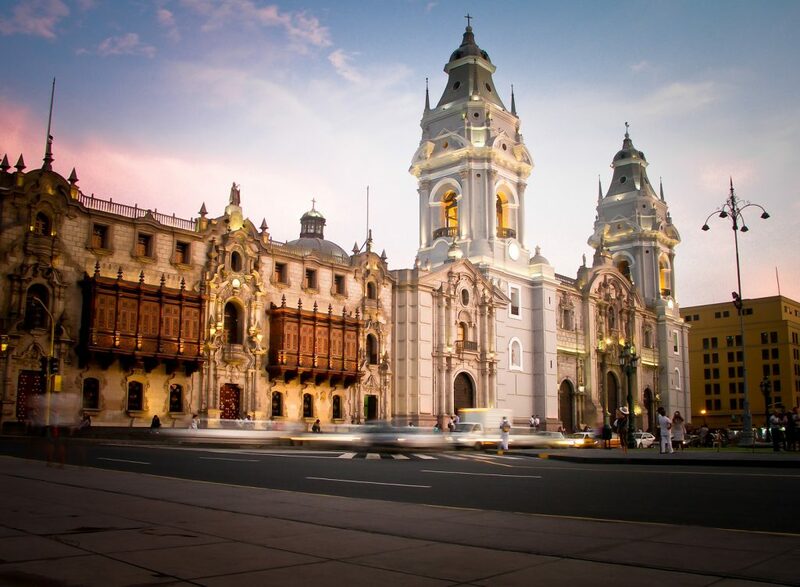 The main sites of Lima can be seen in a day, so if you’re arriving in the evening we recommend spending at least a couple of nights in the capital so you’re not rushing around too much after a long flight, but ideally 3 nights. If you’re planning day trips, for example, a boat ride to Palomino Island, then you’ll need to factor in extra time for this, especially after a long haul flight. Many people make the mistake of diving straight into a jam-packed itinerary on the first day of their holidays in Peru, forgetting that arriving in a new country can be a bit of a culture shock at first! Lima is one of the gastronomic capitals of the world, and it’s where some of South America’s best restaurants are located. The mix of cuisines and fusion foods are completely different to the rest of the country, so foodies especially should try and spend more time here! How many days do I need in Cusco? 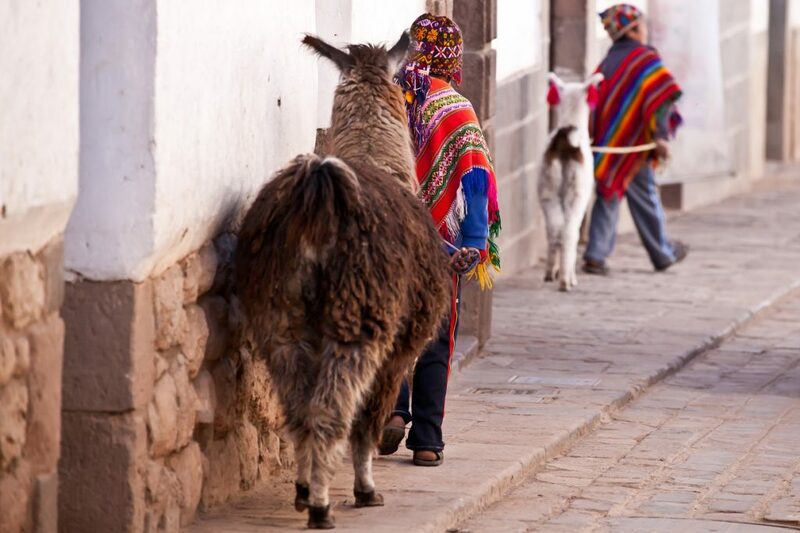 The pace of life in Cusco is much slower than Lima, so don’t rush around! 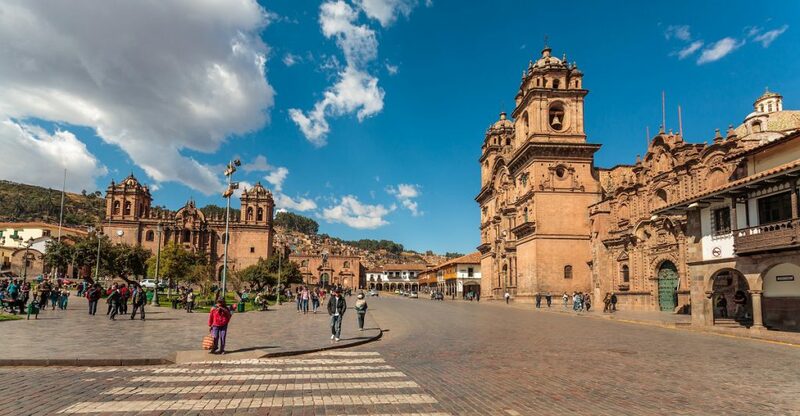 Cusco is the base for most visitors heading to Machu Picchu, and you’ll need at least a couple of nights here to acclimatize to the higher altitude. Cusco is located 3,400 metres above sea level, and the thinner air means you are at risk of altitude sickness, especially if you don’t give your body enough time to adjust. Aside from that the city is a great base for exploring the area, and ideally you want to spend 3 or 4 days here. Machu Picchu is actually much lower than Cusco, at 2,400 metres above sea level, so you’re much more likely to experience altitude sickness in Cusco, which is why it’s so important to take it easy for the first couple of days. Do I need a tour of Cusco? Cusco is a safe and well laid-out city, which you can spend hours exploring on foot, and don’t even really need a guidebook for much of it. The main plazas and sights are located close together, and there are many hotels in the centre as well, so you don’t need to worry about navigating public transport. Because of the altitude and the fact you’ll be spending a few days here, we always recommend a tour of Cusco, even if it’s just an afternoon exploring San Blas with a local guide. He/she will be able to help you get your bearings, recommend the easiest ways to see the main sights, and tell you the best restaurants to try while you’re here! The ruins, located just outside the city centre, are easy to reach, but you won’t get as much out of your visit to them if you go alone. Sacsayhuaman is the most impressive Incan ruin in the area, but without a guide you won’t know what you’re looking at, and you’ll miss out on learning about its history and the fascinating Inti Raymi Festival which takes place here. You can combine city tours with a trip to the ruins, and there are even horseback tours to Sacsayhuaman which are a great alternative. Consider doing a day trip from Cusco to appreciate the Andean scenery of the area. The archaeological site of Pikillacta and the Incan ruins of Tipón can easily be combined in a day, or the Rainbow Mountain of Vinicunca is another option. Do I need a guide in the Sacred Valley and what is the best tour of the Sacred Valley? The Sacred Valley is the perfect introduction to Machu Picchu, as it is the spiritual heartland of Peru, so we highly recommend a tour here. 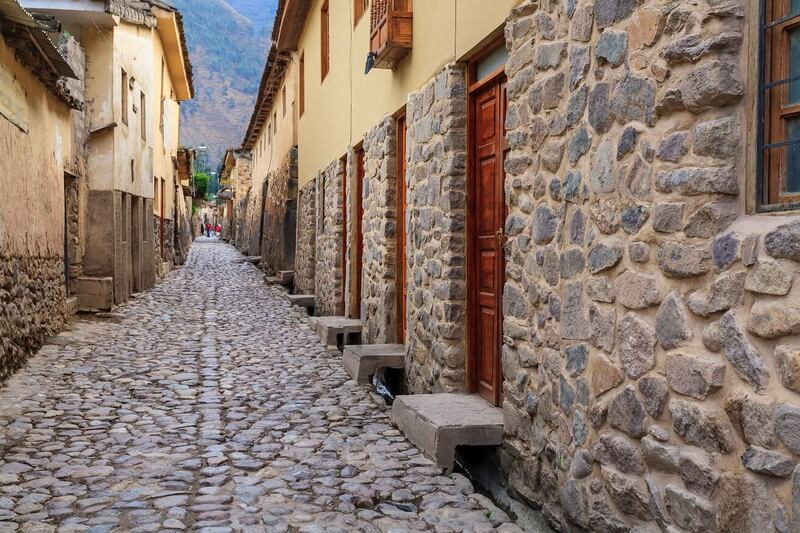 Ideally, you should spend a full day winding your way through the valley, stopping at Pisac Market, Ollantaytambo Fortress and the village of Chinchero. If you’ve got more time to spare we also recommend a visit to the salt pools of Maras and the archaeological sight of Moray. Getting to these sights is fairly difficult without a tour, particularly because you’ll probably have some luggage with you, as it’s easier to stay the night in the Sacred Valley before heading to Machu Picchu. A guided tour will mean you’ll have secure transport to leave your bags in, and a guide to ensure you stick to a time schedule and see as much as you can in a day. Leave the majority of your luggage at your Cusco hotel, as you’ll be returning in a few days’ time, so just pack a small overnight bag. Plus, large suitcases aren’t allowed on the train to Machu Picchu! Can I do the Inca Trail on my own? No, you can’t do the any part of the Inca Trail without a guide or a tour, whether that be the full 4-day hike or the 1-day mini trail. 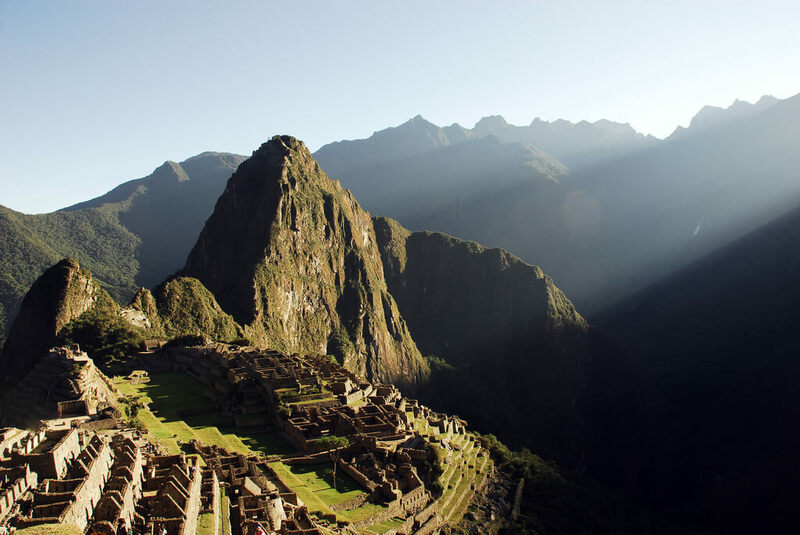 In order to try and better preserve the ancient paths, there is now a daily limit to the number of people allowed to do the Inca Trail, and you have to book your permit through a tour operator. Yes, you can do the Inca Trail as a solo traveller, but you would still need to go through a tour operator, and either book a private tour with a guide and porters just for yourself, or book onto a group tour – Everything you Need to Know About the Inca Trail. 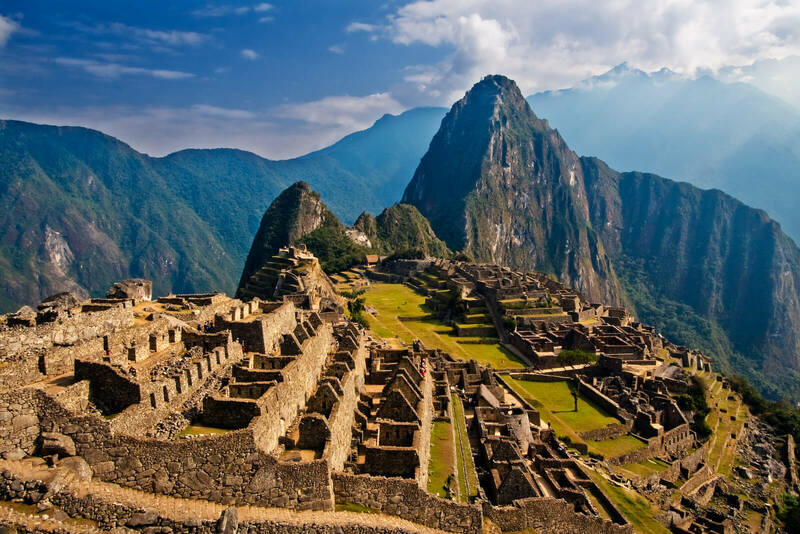 There are alternative treks to Machu Picchu which you can do without a guide or a tour – Click here for more information! Do I need a guide for Machu Picchu? You don’t need one but it’s highly recommended! Do you need a guide for Machu Picchu? No. Would we recommend a guide for Machu Picchu? Yes, definitely! This will likely be the highlight of your trip, but there are no information signs within the site, so without a guide you’ll really struggle to appreciate it! Our favourite tour of Machu Picchu involves having a guide for a couple of hours and then free time on your own to explore for the rest of the day. This way you get the best of both worlds: all the local history and insider info from the guide, and as much time as you like to explore. We particularly recommend a private tour for Machu Picchu, which doesn’t cost too much more but is well worth it. If you’re spending 2 days at Machu Picchu you don’t really need a guide for the second day, and you can even climb both Huayna Picchu and Machu Picchu Mountain without a guide or tour, although there are set time slots which fill up quickly so you’ll need to book in advance! What is the best tour of Lake Titicaca? You really do need to book a tour to explore Lake Titicaca, as there is no way to get to the islands otherwise. There are a range of tours to choose from, depending on your time limits and interests. 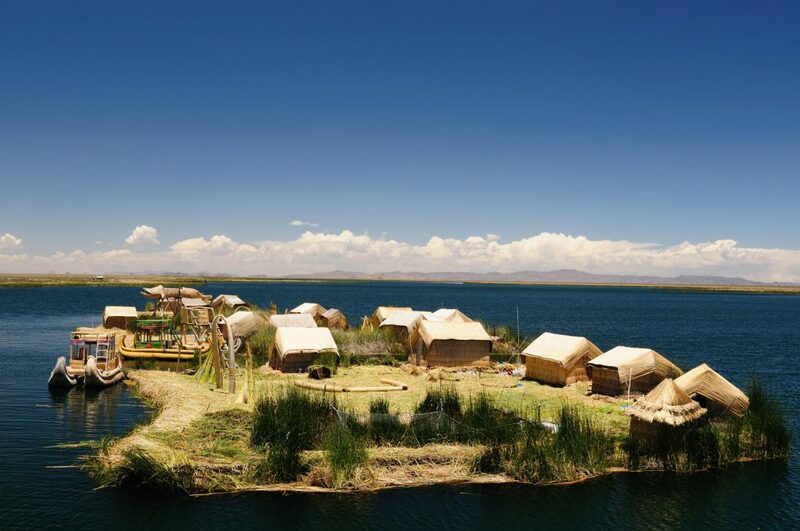 Ideally you want to see the floating reed islands (Uros) and at least one of the ‘real’ islands (Taquile is the most popular). The best tours take a full day, as half day tours tend to only visit the Uros Islands. If you have slightly longer you should definitely consider an overnight stay on one of the islands (usually Amantani) with a local family, this way you’ll be able to really appreciate the customs and cultures of Lake Titicaca. Plus, overnight tours often visit more islands, included Isla del Sol in Bolivia, the home of the ancient Incan God, Inti. 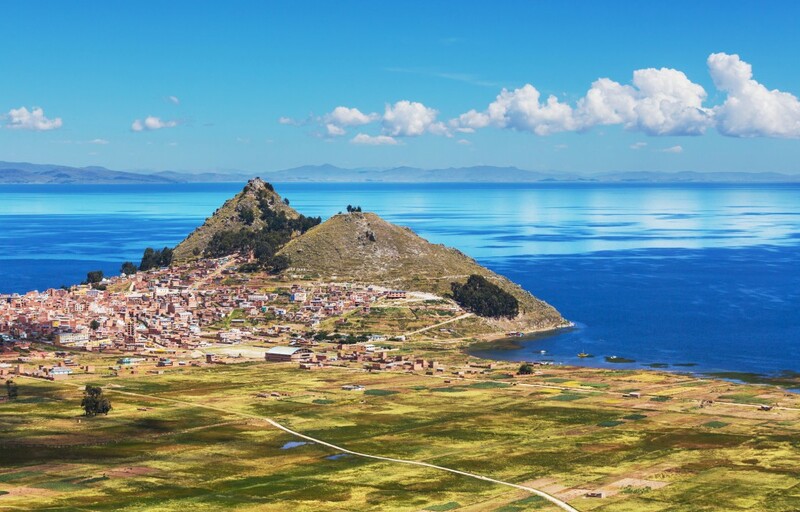 If you’re heading to Bolivia on your trip consider a combined tour which allows you to spend the day crossing Lake Titicaca and then driving to La Paz. How long do I need at Lake Titicaca? Lake Titicaca is a very spiritual place, and not somewhere to be rushed. Plus, located at over 3,800 metres above sea level, the high altitude of the area means a slower pace is necessary. So try to stay at least a couple of nights and don’t rush your time here. How many days do I need in Arequipa? Arequipa is a beautiful city, one you’ll wish you had longer to explore! 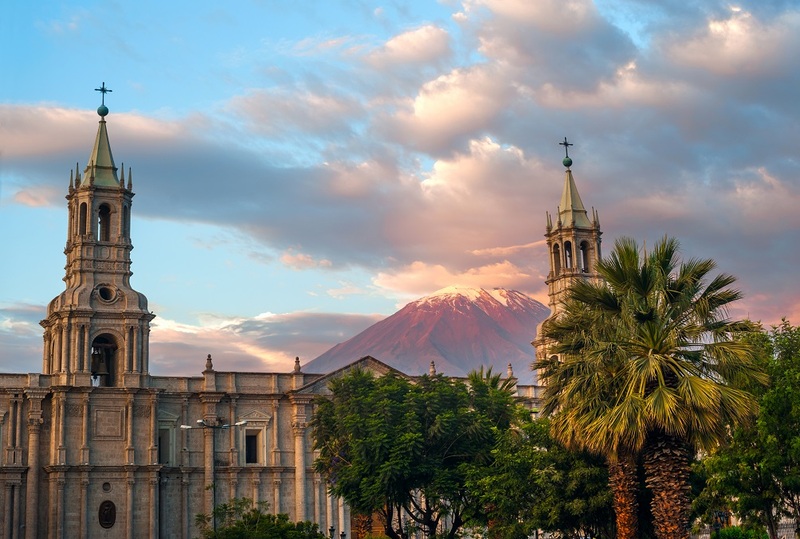 If you’re planning trips to either you’ll need at least 2 nights in Arequipa to properly acclimatize first (some tour operators even recommend 3 nights). El Misti is over 5,800 metres above sea level, and many trekkers don’t make it to the top because of problems associated with altitude sickness. Colca Canyon is significantly lower but there are still passes that reach 4,800m, so acclimatization is key. Arequipa can be reached overland from many other cities in Peru, included Puno, Nazca, and even Lima or Cusco. This is the best way to acclimatize, plus, you get to see more of the country! Do I need a tour in Arequipa? 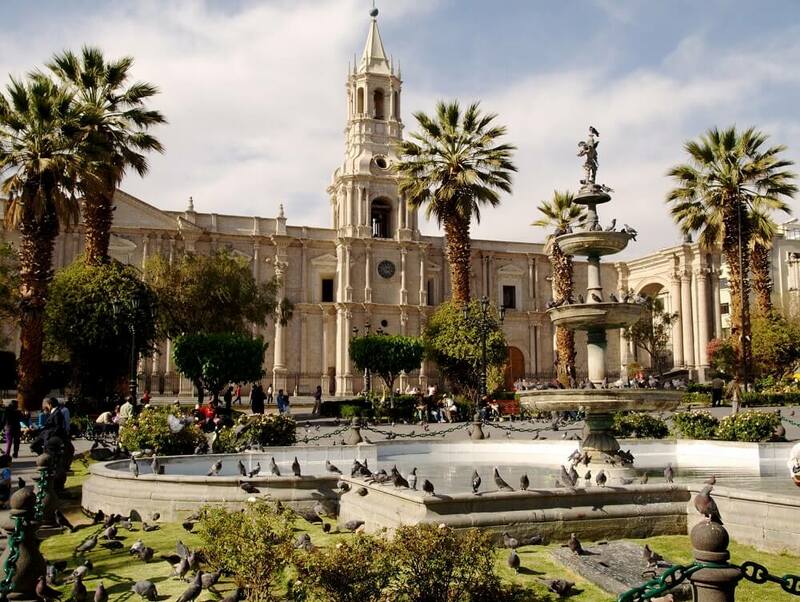 The centre of Arequipa is easy enough to explore without a tour guide, but we do recommend a quick tour to help you get your bearings and give you information about the main sights, as there’s a lot to see. There are many days trips from Arequipa which are best done as a tour, as public transport is often slow and busy, these include the Toro Muerto Petroglyphs and the Salinas Salt Lake. So, solo or guided tours in Peru? We think a mixture of tour styles works best in Peru! 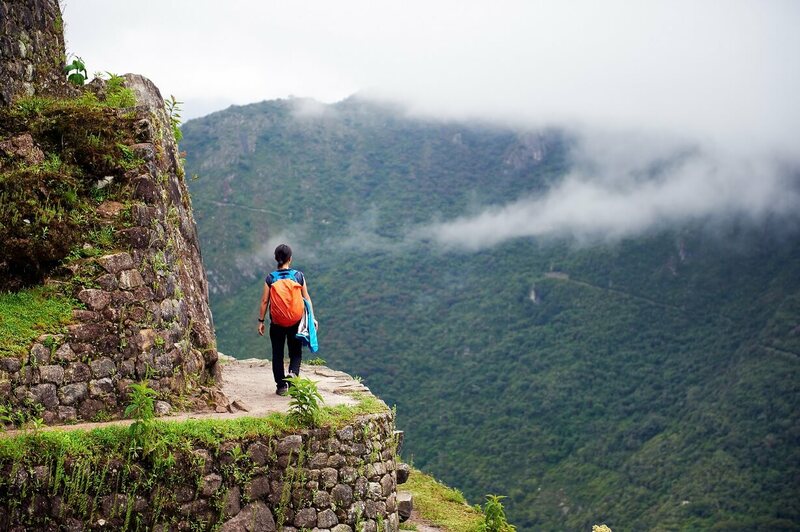 Guides can tell you the insider information, like the best spot to watch the sunrise over Machu Picchu! A half day tour upon arrival in each new city is a good way to familiarize yourself with the place, and gives you chance to rack the brains of your guide for restaurant recommendations and sightseeing tips. Day trips are best done as part of a tour, as they allow you to make the most of your time and only see the highlights if you’re in a rush. Machu Picchu should be done with a guide, as should other sites with an interesting history, to make sure you don’t miss any important information. Fully escorted tours are not necessary in Peru, although many people seem to think it’s one of the other: a completely solo trip or a group tour. This is where tailor made travel companies come into their own; you can pick and choose where you want assistance and where you want to go-it-alone. So, when choosing between solo or guided tours in Peru it’s important to consider your travelling style and question what you want from your holiday! Previous post How Safe is Colombia?